Thanks to all the patrons who attended Artist Bailout: Renegade Bounty Exchange we were able to give Evelyn Serrano of NOMAD LAB Dialogue Project and Edith Abeyta funding for their projects! It was a day to remember and all of the artist proposals were inspiring and inventive. Thank you to everyone who helped to make this event a success. Read more about it and see pictures here. For directions to Angels Gate click here. 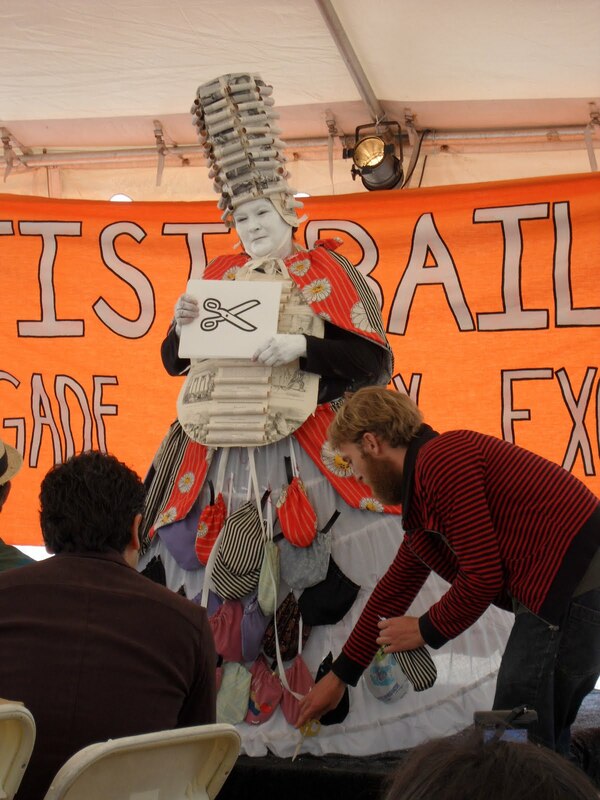 Angels Gate Cultural Center proudly presents Artist Bailout: Renegade Bounty Exchange, a community driven way to fund new work by artists during the economic crisis. A collaboration by Elana Mann and Autumn Rooney, this new philanthropic model brings together artists and patrons for a lunch, which is part performance part fundraiser and culminates in the presentation of two micro-grants for emerging artists. The inaugural Artist Bailout: Renegade Bounty Exchange will be held during the open studios at Angels Gate Cultural Center on Sunday, May 16, 2010 from 1:00 pm until 4:00 pm. Patrons pay $10 at the door for a delicious vegetarian meal and a ballot (or $5 for the ballot only). At 2:00 pm a group of pre-selected artists will present proposals for new original work. Artists who will be presenting proposals include Edith Abeyta, literary magazine Amor Fati, Laura Bouza, Owen Driggs, Liz Glynn, the Journal of Aesthetics and Protest Editorial Collective, Llano del Rio Collective, Anna Mayer, Nancy Popp, Evelyn Serrano, and Juliana Snapper. 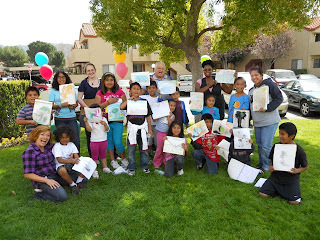 Due to the wide variety of artistic disciplines represented, these proposals will run from films about sound healers to mapping alternative cultures in Los Angeles; all presented in the spirit of sharing visions and garnering community support. Also on the bill is a special musical performance by Monica Howe (H.R. Muff’n Stuff). At the end of the presentations and performances, ballots will be collected and counted. The top two winning artists will each take home half of all the money collected at the door as a micro grant to be used towards their proposed project. See the artist's proposals here. Artist Bailout: Renegade Bounty Exchange and Open Studios 2010 are sponsored by Sony Pictures Entertainment and The James Irvine Foundation. 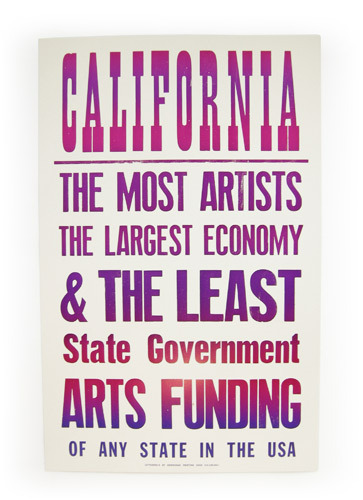 Public funding for the arts has been hurt by the downturn, so local groups have turned to small-scale private donors to offer micro-grants for starving artists. David Weinberg reports. By Jenny Jaskey on Friday, February 5th, 2010 at 1:00 pm. What is FEAST and how did you begin? 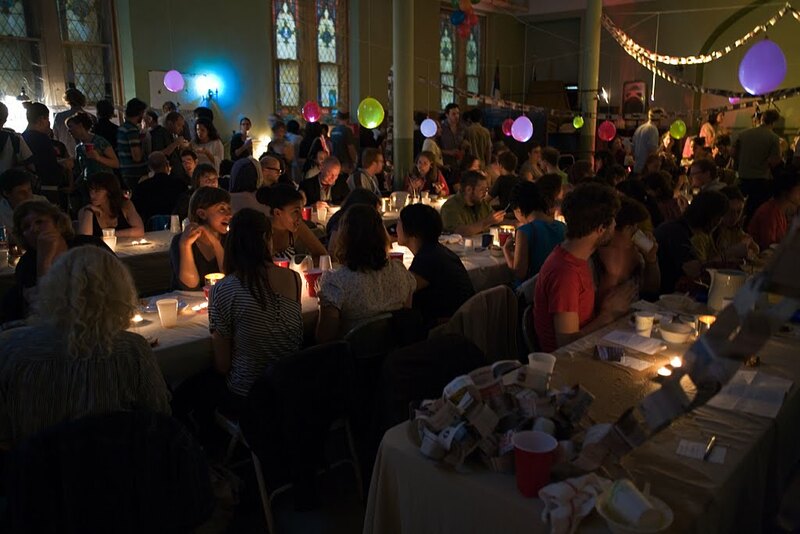 Jeff Hnilicka: FEAST has been going on for a little over a year and runs out of a church basement in Greenpoint. There are around twenty people who help facilitate it. 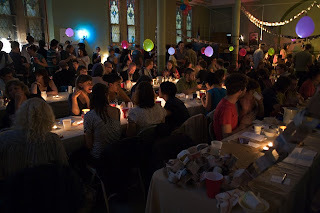 We come from the art world, food world, and design world, and we are connected to ideas of collectivism and immediacy – things like zines, living room dance parties, bike rides, and dinners. Many of us are also involved with Hit Factorie, an artist collective. FEAST grew out of our desire to investigate the collapse of cultural production in the face of emerging sustainable food production systems that were successful. Art:21 "W.A.G.E Against the Machine"
Last September, as part of Creative Time’s Democracy in America: The National Campaign event at the Park Avenue Armory, activist group Working Artists and the Greater Economy (W.A.G.E.) 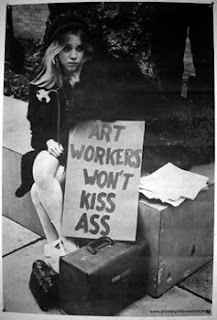 stumped for the rights of artists to be compensated fairly for their labor by art institutions in the United States. The economy has taken a bigger hit since then, which makes W.A.G.E.’s work even more important. 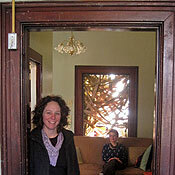 The Brooklyn-based collective was formed in 2008 by artists A.L. Steiner, K8 Hardy, and A.K. Burns, and the group’s expanding membership includes artists, performers, independent curators, and all others who share their cause. W.A.G.E. cites exemplar, working models beyond our borders overseas and overhead—organizations such as the Canadian Artists’ Representation / Le Front des artistes canadiens (CARFAC), whose efforts resulted in the 1988 Canadian Artists’ Representation Copyright Collective (CARCC), which legally established a fee schedule for artists to be paid every time their work is exhibited at a gallery, museum, or institution that receives federal funds. THE artist Gordon Matta-Clark, who died in 1978 at age 35, loved to cook, but he could never quite unbraid his culinary passions from those of artmaking, with sometimes bizarre dinner party results. At one, recalled his widow, Jane Crawford, he cooked a lovely whole sea bass, but it emerged from the kitchen encased in a block of aspic nearly three feet long. He unmolded it, then gave the table a good kick, so that the aspic wobbled wildly and the bass seemed to fishtail upstream.